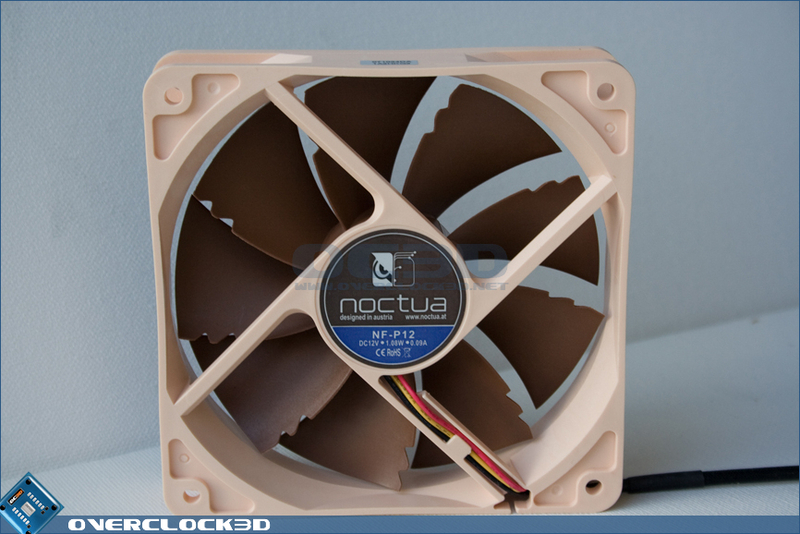 When looking at the fan itself, I think you will agree that it looks a lot sturdier than the NF-S12. Utilising an extra two blades and being housed in a slightly thicker shroud, we should certainly see an improvement in increased static pressure. The fan when picked up has the same feel to it as would be expected from an industrial fan such as a Papst or Delta. 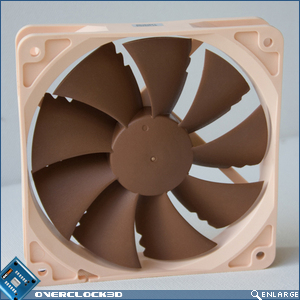 As a result the fan is fairly weighty and the plastic definitely feels a lot more robust than most case fans. One of the most noticeable features on the NF-P12 is the vortex controlling notches cut into the trailing edge of the fan blades. These are designed to disrupt and spread the drag created by the blades movement, reducing resistance noise. The back of the packaging seen earlier tells us more about this process and goes on to explain that the notches are staggered distances from the edges of the blades to create a range of pitches, effectively making the sound a lot less distinct and far more tolerable. 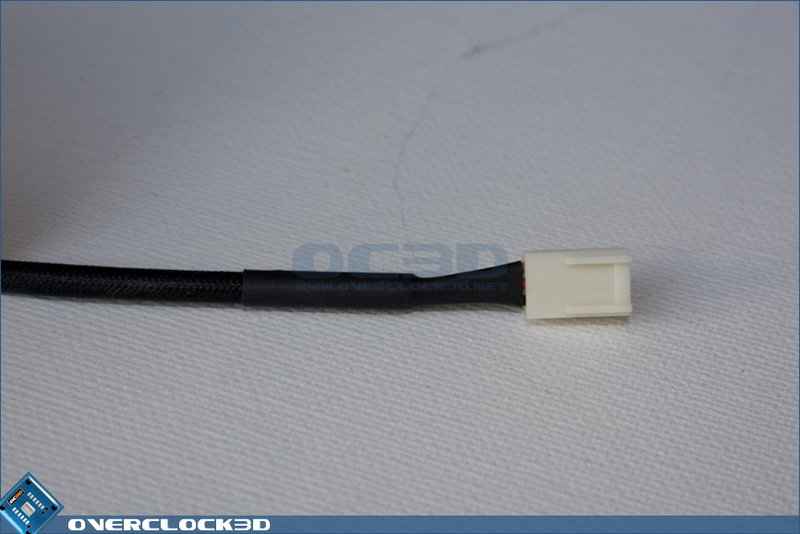 The cable running from the fan is of a considerable length (approx. 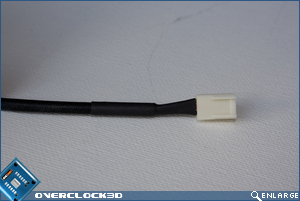 40 CM) and is sleeved with a rubber sheath heat shrink sealed at both ends. 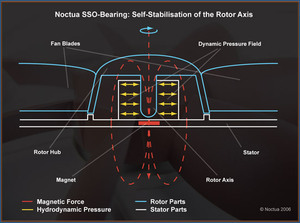 One of the features seen on the NF-P12 is a Self Stabilising Oil bearing. This system allows for near frictionless operation, reducing heat, power input, noise and instability. 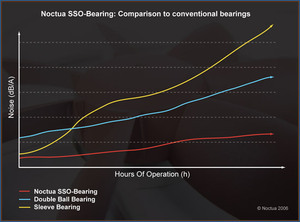 Furthermore, we are provided (again on the fold out part of the box) with information detailing the massive increase in bearing longevity this technology provides. 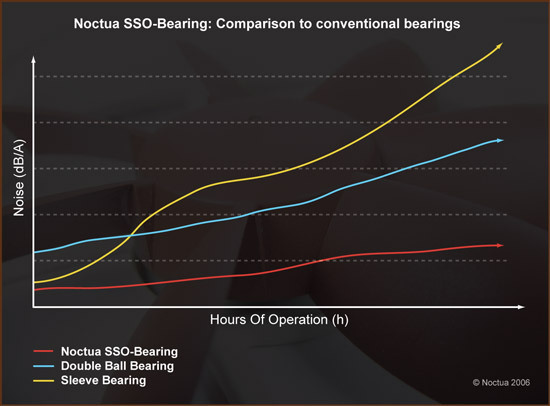 Obviously I cannot comment on the bearing comparison but I can certainly vouch for the increase in stability of the blade rotation.